Sen. Chuck Grassley (R-Iowa) was besieged at a town-hall style event in Logan, Iowa on Friday with questions about President Trump. Mr. Trump won Iowa by almost 10 percentage points, according to the Des Moines Register. While there were questions about local issues, constituents also focused on the ongoing Russia investigation, immigration and Mr. Trump's recent "sh*thole" remark. "Why have you not interviewed Manafort or Kushner yet," asked one constituent, according to CBS affiliate KMTV. 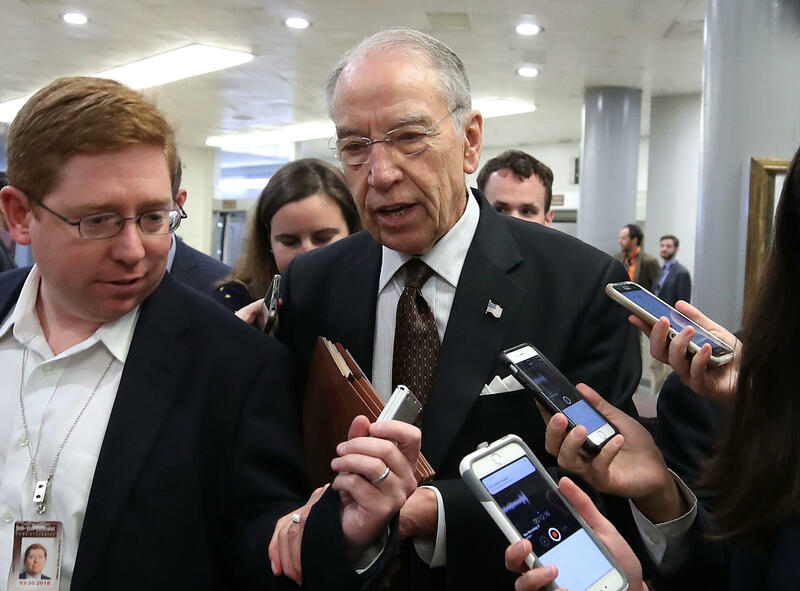 Grassley is the chairman of the Senate Judiciary Committee, which is investigating Russian meddling in the election. Another in the crowd wondered why money should go towards a wall instead of local infrastructure. "The roads are falling apart, the electrical is bad, we need to spend our money on our country and not on a stupid wall." Grassley tried to emphasize that a deal on DACA needs to be reached before the March 5th deadline, saying "we've got to convince the American people that we don't make the same mistakes we did 30 years ago when we thought we had secured the borders because we did away with the magnet of people coming here to work." According to KMTV, Grassley said Mr. Trump's "sh*thole" remark "detracts from the very important issue that we got to get solved by March 5th ... it's better to keep to the issues, don't do anything to detract from the issues and bottom line, all people ought to be treated with respect." Grassley will be holding another event in Sac City, Iowa, on Saturday morning, according to the Des Moines Register. Last year, angry constitutents stormed members of Congress' town hall meetings. In February 2017, protesters shouted "Do your job! Do your job!" at Utah's Jason Chaffetz. At a town hall meeting in California's fourth district, audience members shouted "boo!" at GOP Rep. Tom McClintock. In Colorado's 6th district, Rep. Mike Coffman told his constituents "let's not yell at each other."